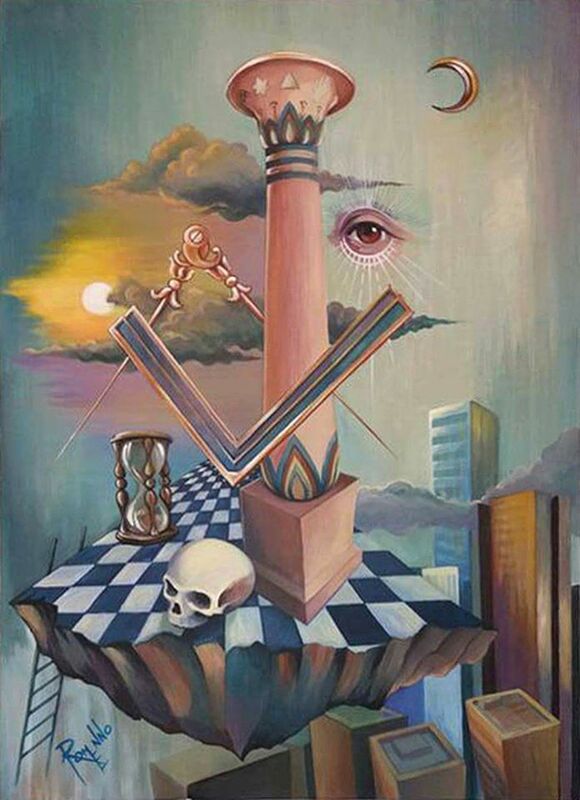 Lodge tracing boards are painted depictions of the symbols and allegories used by Freemasons in learning about those allegories in the course of their work. These three lodge tracing boards were designed by Lady Frieda Harris, who was believed to have been a Co-Mason. They are wildly unconventional, quite unlike tracing boards used in most lodges, and are considered as works of art in their own right.